Herlings and Prado Pounce to Pangkal Pinang Qualifying Wins. The 2018 MXGP of Indonesia is off to a roaring start with Red Bull KTM Factory Racing’s Jeffrey Herlings and Jorge Prado leading the way. The impressive return from injury of Herlings made it clear he is back and ready to fight for the win tomorrow. Good weather and afternoon sunshine dried the track into technical but very impressive conditions with Indonesia’s biggest motorsports fans lining the circuit in anticipation of great racing. 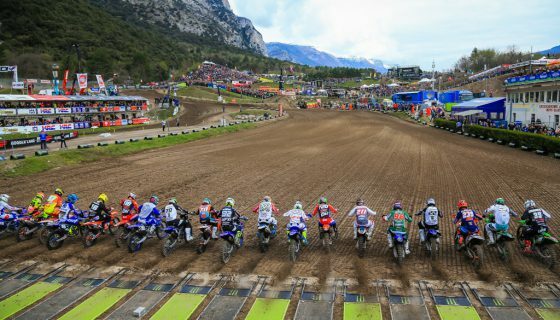 From the first Free practice of MX2 to the final laps of MXGP Qualifying the impressed spectators had their eyes glued to the action. MXGP Qualifying started off with Red Bull KTM Factory Racing’s Antonio Cairoli taking the Holeshot and Red Bull KTM Factory Racing’s Jeffrey Herlings just behind. 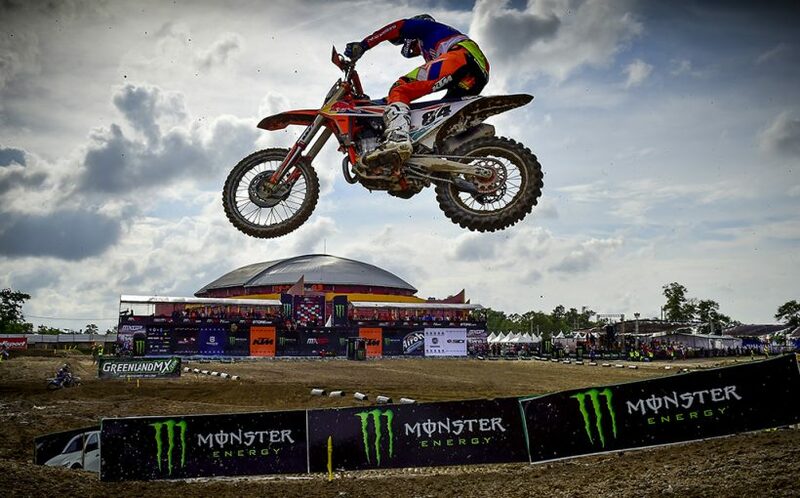 A mistake early in the race from Cairoli gave Herlings the lead and also let Rockstar Energy Husqvarna Factory Racing’s Gautier Paulin, Red Bull KTM Factory Racing’s Glenn Coldenhoff, Monster Energy Kawasaki Racing Team’s Clement Desalle, and Team HRC’s Tim Gajser past. Herlings took full advantage of the error from Cairoli and put in fast laps early to create a gap between himself and the rest of the field. First to make a pass was Gajser when he took 4th from Desalle. 2 laps later Coldenhoff was past Paulin and into 2nd but almost immediately after making the pass he lost the front end in a corner. Not only did Coldenhoff lose 2nd but he dropped all the way to 9th position. The mistake from Coldenhoff moved everyone up a spot except Desalle who had just been passed by Cairoli. Cairoli was striving to get Gajser on the same lap but two turns before the finish his front end pushed through a rut throwing him off the side, Cairoli managed to keep the bike upright and running but he lost the spot, which he had just taken, back to Desalle. On the next lap Gajser took second from Paulin while Cairoli charged past Desalle another time. Gajser only held 2nd for one lap before being passed by Paulin, Cairoli, and Desalle. The time around Cairoli took 2nd from Paulin and set the goal of closing the gap to Herlings. Finding his way into the top 5 was Rockstar Energy Husqvarna Factory Racing’s Max Anstie after fighting for the position with Gajser. Anstie also made a costly mistake falling and then rejoining the race back in 12th position. Monster Energy Yamaha Factory MXGP’s Romain Febvre then took over 5th and held it to the finish. 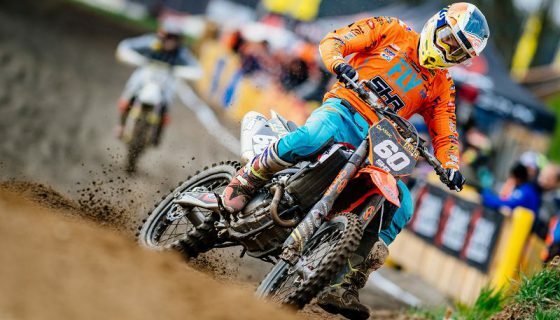 Across the line Herlings held on to win just 2 weeks after having surgery for his fractured collar bone. Cairoli did manage to close the gap but was still not close enough to make a pass attempt while Desalle took 3rd. MXGP Qualifying Race Top Ten: 1. Jeffrey Herlings (NED, KTM), 24:01.609; 2. Antonio Cairoli (ITA, KTM), +0:03.027; 3. 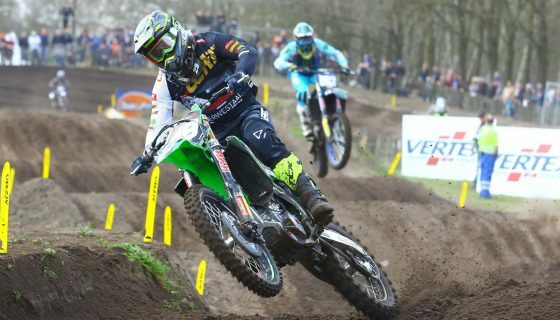 Clement Desalle (BEL, Kawasaki), +0:09.010; 4. Gautier Paulin (FRA, Husqvarna), +0:17.598; 5. Romain Febvre (FRA, Yamaha), +0:27.175; 6. Tim Gajser (SLO, Honda), +0:28.869; 7. Glenn Coldenhoff (NED, KTM), +0:37.272; 8. Jeremy Seewer (SUI, Yamaha), +0:39.077; 9. Jeremy Van Horebeek (BEL, Yamaha), +0:40.881; 10. Julien Lieber (BEL, Kawasaki), +0:43.292. 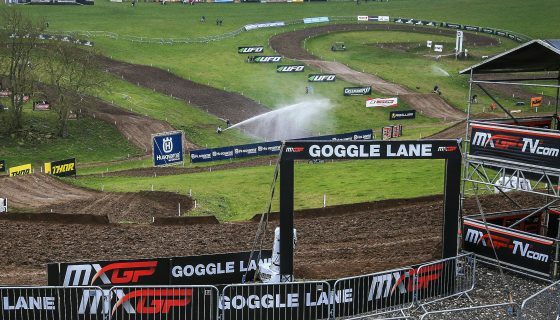 MX2’s title fight is just as tight as that of the MXGP class between Red Bull KTM Factory Racing’s Pauls Jonass and Jorge Prado. The pair both have had strong seasons but both have struggled on occasion as well. Recently Prado has been the top performer and he again took the top spot today. 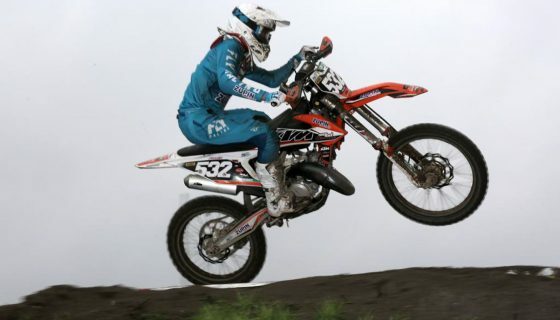 When the gate dropped it was another KTM that led the way however, the LRT KTM of Davy Pootjes. Pootjes had one of his best performances here last year in qualifying as well but today was shuffled back to 3rd after the first lap as Prado took the lead and Kemea Yamaha Official MX2 Team’s Ben Watson into 2nd. By lap 3 Jonass was in 3rd with the help of a mistake from Pootjes who had dropped to 10th. 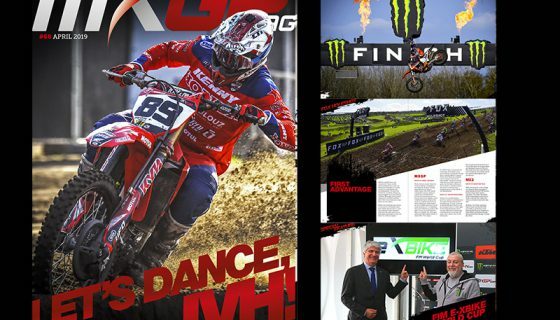 Jonass was however haunted by Rockstar Energy Husqvarna Factory Racing’s Thomas Kjer Olsen and Thomas Covington. The pressure from the pair of Husqvarna riders led to a mistake from Jonass letting both the Dane and the American by. Jonass was able to get back going in 5th position with Team HRC’s Calvin Vlaanderen giving chase. During the remaining laps of the race the battle for the lead intensified as Watson closed in on Prado. Watson looked for different lines to make up time or even make a pass. With time running down Watson was right behind the Spaniard but never could make it into the lead. Across the finish line it was Prado with his 6th Qualifying race win of this season ahead of Watson, Olsen, Covington, and Jonass.